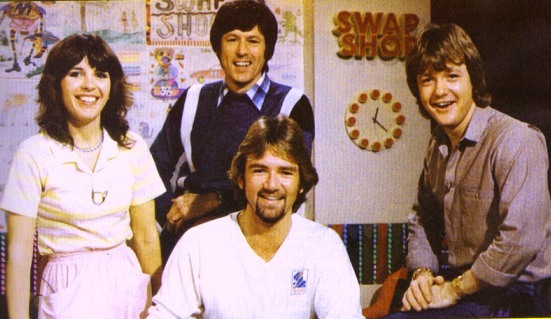 First broadcast at the beginning of October 1976, Multi-Coloured Swap Shop was, in many ways, a trailblazer for Saturday morning children’s television. 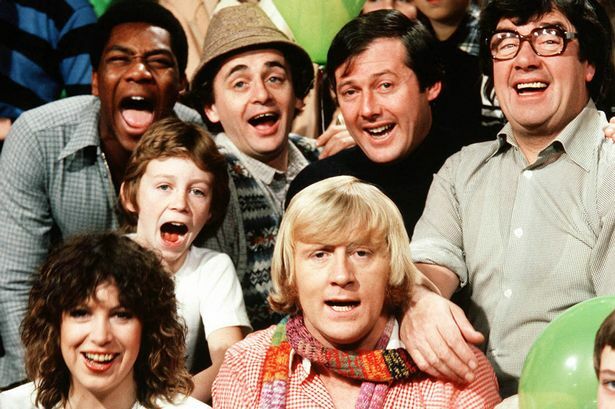 Although perennial rival Tiswas had actually debuted two years previously in 1974, this was only in the Midlands region, so was yet to become a national phenomenon. 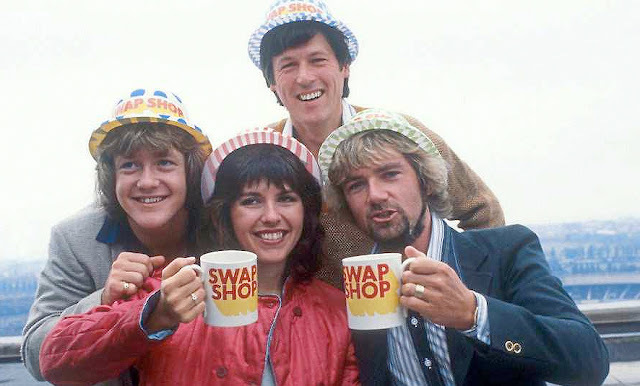 As a result, it was Swap Shop which set the benchmark for all weekend children’s shows to follow. Every Saturday morning, starting from around 9:30am, cuddly Noel Edmonds would be at the helm for more than three hours of live fun. 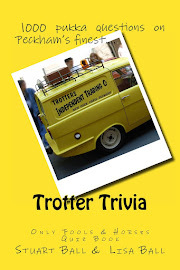 Each week, there would be star guests answering viewers questions over the telephone, news segments from John Craven, cartoons and, of course, the chance for youngsters to swap any unwanted items in their possession with like-minded viewers who had other delights they wished to get rid of. Swaps were either done in the studio, where Noel would read out telephone swap requests, or famously, on outside broadcasts from around the country hosted by the late Keith Chegwin. These Swaporama events would often be attended by thousands of eager young fans, who would tune in to Swap Shop first thing to find out where Keith was going to be that week. Remember, this was in the days before the internet existed, so there was less chance of the location for the latest Swaporama event leaking out beforehand. This made the final reveal a lot more exciting. 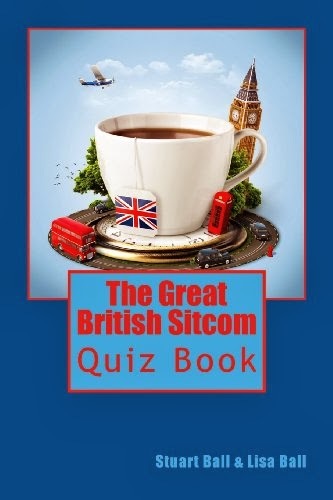 Each week, the celebrity guests in the studio would bring along a prize that viewers could win by answering a question put forth by the celebrity. Answers had to be written on a postcard, which would then be drawn live on air the following week from a giant clear plastic globe. The postcards would usually be of all shapes and sizes, with many children hoping that their distinctive postcard would catch the eye of the person making the draw. 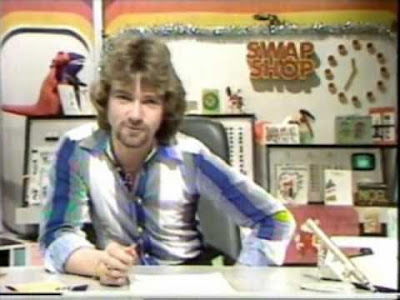 Although I never actually called Noel, either to ask a famous guest a question or put in a swap request, the telephone number for Multi-Coloured Swap Shop will linger in my memory for the rest of my days. Seventies children, chant along with me - 01 811 8055. Although Multi-Coloured Swap Shop had some moments of anarchy and unpredictability being a live show, it was nothing compared to the antics of Chris Tarrant and the crew over on the ITV network. 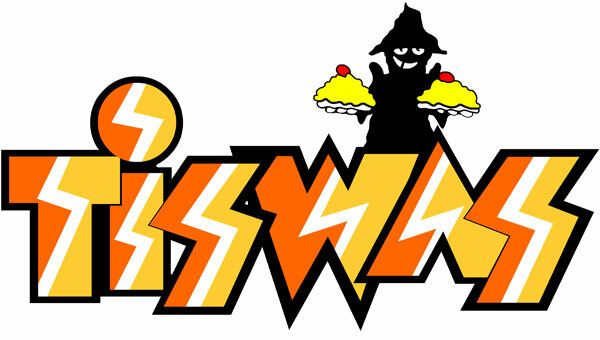 Tiswas was akin to the naughty schoolchild who would always take their seat at the back of the classroom, while Swap Shop better resembled a front seat kid. Living in the Midlands region, we were always able to tune into Tiswas every Saturday right from the start. Viewers in the rest of the country had to wait varying amounts of time until their local network picked it up. 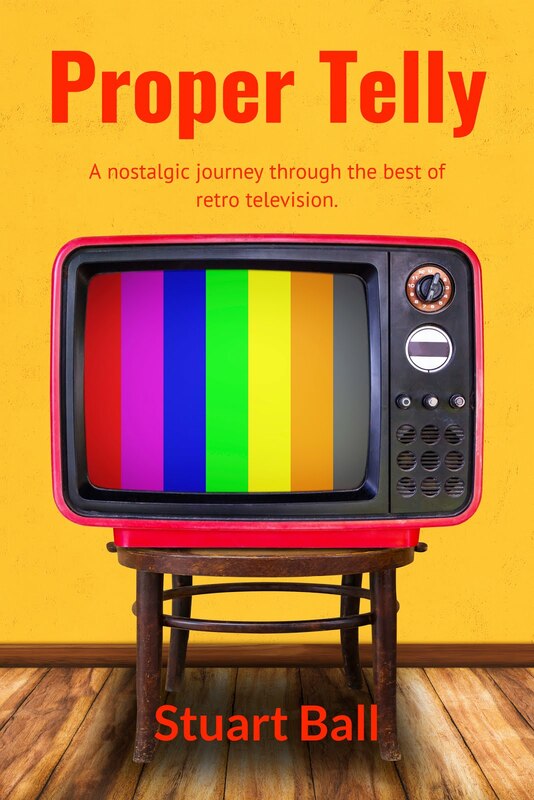 Some regions didn’t begin broadcasting the programme until as late as 1979. This is why Swap Shop is regarded by many as the forerunner for live Saturday morning television, although Tiswas was actually the first to air. Every episode of Tiswas was organised chaos and kids lapped it up. It wasn’t just younger viewers who tuned in either. Dads up and down the country would happily sit and watch with their kids in order to await the appearance of a certain Sally James. The lovely Sally, usually clad in denim or leather trousers, was the main co-host of the show, alongside a young Chris Tarrant, who of course would go on to become one of the most famous presenters on British television. In addition to Chris and Sally, the Tiswas presenting team also consisted of such names as Lenny Henry, John Gorman and Bob Carolgees with his friend Spit the Dog. One of the most fondly remembered Tiswas features was The Cage, in which kids and sometimes their parents would be locked and then soaked with buckets of water. Presenters, studio audience members and star guests would also be prone to attack by the shadowy, black-clad figure The Phantom Flan Flinger, whose stock of custardy flans would be in seemingly permanent supply. By the end of the seventh series in 1981, Chris Tarrant had left Tiswas in order to front a late night adult version of the show called O.T.T. Lenny Henry, John Gorman and Bob Carolgees all went with him, leaving just Sally James remaining from the core presenting team. She was joined on series eight by Midlands radio personality Gordon Astley but the writing was on the wall and Tiswas duly ended in 1982. So, which show did I prefer? Well, I think I may just have to come down on the side of Noel and Swap Shop but it is a very close run thing. Which was your favourite?